Thanks for this awesome giveaway! I love Target and would love to win this! Here’s to the luck o’ the Irish! Hoping the luck of the Irish will be with me this time! Thanks for the giveaways. I liked you on Facebook as well! Been a long-time Facebook follower! Got a baby on the way, so I would be super excited to win this!! Thanks for the giveaway and that card is awesome! 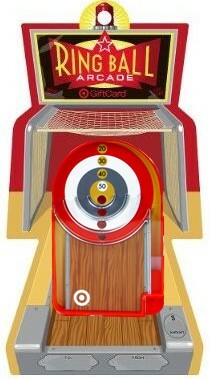 Could definately use a $50 gift card from Target. I’m totally broke right now. It will definately be appreciated!! Love Totally Target!! Great giveaway! I am a fan on FB. Liked Totally Target on facebook! Have been following you on facebook for a while now, keep up the good work! This card is awesome! My husband is playing skee ball on his ipad right now! I would love to win a Target Gift Card. This gift card looks cool! This is a great idea, I would love to see this card, I wonder why they stop selling them. That’s the most amazing gift card I’ve ever seen!! Thanks for the chance! I’d love to win! Wow is right , thanks Kerry.